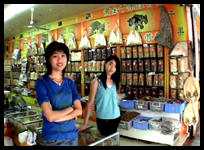 Xiamen once upon of time was better know as Amoy, hence the name for this episode. My friend Sakura was a new arrival in Fuzhou and hadn't been to too many places in Fujian. Me being the kinda guy I am, I planned a trip and we toook off for the day. See us fend off the tour guides and eat at a 4 star Pizza hut before my batteries died.